Famous people like to leave legacies. 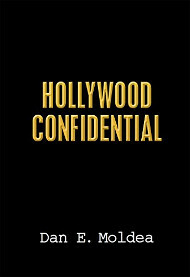 Convicted private eye Anthony Pellicano left a legacy that will go down in Hollywood history for his world-famous, underhanded snooping. Today he’s scheduled to be sentenced. LOS ANGELES — Victims of former Hollywood private eye Anthony Pellicano say they have never been able to free themselves from the emotional and financial fallout caused by crimes he committed while wiretapping the rich and famous. A former reporter says she has nightmares about being hunted and raped. A mother says her daughter is mocked by other kids and their parents. An actress who once appeared in a popular television series says she has found little work since. They are among the victims who have submitted letters to the federal judge who is scheduled to sentence Pellicano on Monday. The former private investigator is already in custody since being convicted of a total of 78 counts, including wiretapping, racketeering and wire fraud, in two separate trials earlier this year. Posted: 12/15/08 at 12:17 AM under News Story.